Since his brain injury, Alan J Cooper has written for Toronto newspapers, has taught creative writing within the school system and has spoken publicly. He also speed-walked the 25th New York Marathon in 1994 on behalf of brain-injured people globally, and presented to the world brain injury conference in Dallas in 1996. He has been written up in Toronto’s national newspaper The Globe & Mail. Alan has continued his philanthropy after his catastrophic accident, serving on a number of Boards dedicated to helping those less fortunate, and has been a career counselor to people who have lost their jobs. Alan devoted a full university year to helping prisoners in Toronto’s notorious Don Jail. 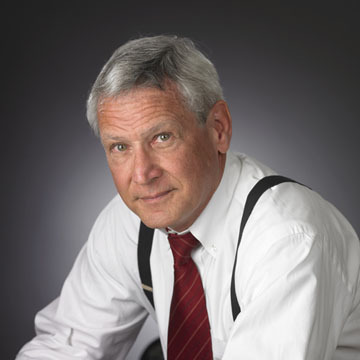 Prior to his brain being shattered, Alan Cooper was a senior private and public sector executive, and frequent interviewee on radio and television. Outside of work, he sang as baritone in the world famed Toronto Mendelssohn Choir. He holds 5 degrees from the University of Toronto, including 2 Masters, the first examining how values affect human behavior, the second a Master of Education, focusing on the need for learner autonomy and a teacher’s role as catalyst. Q. Alan, your bio mentions that you have a brain injury. Would you care to briefly share how it occurred? Q. I have had the privilege of reading The Second and find it incredible that someone with a brain injury such as the one you sustained could write as well as you do and I am sure many readers are wondering the same. Can you explain how this is possible? A. John Milton’s magnum opus, the epic poem, Paradise Lost was composed by the blind Milton from 1658 to 1664. As a blind poet, he dictated his series of aides to his employ. The first version, published in 1667, consisted of 10 books with over 10,000 lines of verse. It has been argued that the poem affirms an ultimate optimism in human potential. Beethoven composed his 9th symphony when he was 100% deaf, affirming the brother-sisterhood of humankind. With my severely impaired short-term memory as well as multiple other handicaps from the diffuse brain injury, I took some inspiration from Milton and Beethoven in affirming a variation on their compatible themes. Q. The Second is a substantial book with five hundred plus pages. How long did it take for you to write? A. Seven years, with the actual writing as opposed to researching, being over 10,000 hours. Q. You provide a great deal of information with respect to religion and politics. Can you share the mechanics of how you go about researching your subject? A. The SECOND is fiction but as input, I read and made notes on, about 60 non-fiction books. My initial list of 10 from my Master degree in Religious Education triggered more curiosity, in a somewhat Socratic learning process and consequent digging. Many a day was spent in Toronto’s public research library of U of T’s main library. Q. How many hours did you spend on research for The Second? Q. The Second is written in diary form. Is there any particular reason you chose this format? A. I chose a style not dissimilar to Plato in his Republic or Conan Doyle in his use of Dr. Watson to query Sherlock Holmes. Q. Alan, what inspired you to write this novel? A. While I was raised an Anglican (Episcopalian) and was head choir boy, I am now not religious myself but do believe God is a verb, not the demiurge presented by so much of say, Christianity. When as an adult, I witnessed things like the American invasion of Iraq and so much of U.S. foreign policy driven by the likes of TV evangelists, blackmailing widows out of their money, I was outraged. 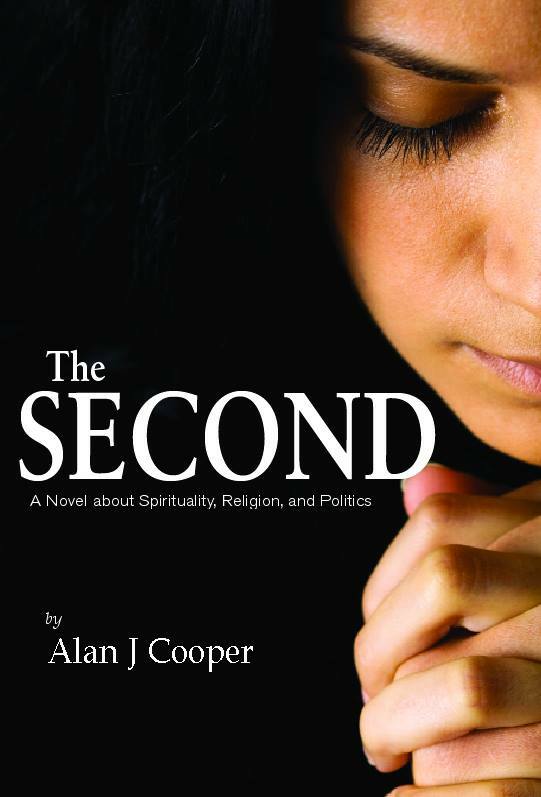 As I mention in my 5-minute video at www.alanjcooper.com, I feel the 21st century needs much more international understanding. Q. Sometimes as authors we interject ourselves somehow in the story. Is there a part of you in this novel? A. Yes, people have asked me, “Who is heroine, Chantelle?” and I replied, “I am”. There is a touch of narrator, Arthur in me too. Q. The story teller is Arthur. What, if anything, inspired this character? A. Arthur undergoes a dramatic change in values, across the 1,000 days written about in The SECOND. Perhaps I hoped that readers could change in some vague way as did young, Chicago architect, Arthur. Q. It is always a privilege to be able to discuss a book with the author and I have a burning question about the protagonist Chantelle. She is highly intelligent, kind, principled and naïve. Why did you create this character as a woman? A. Moses, Jesus and Muhammad were men, so I figured it was time for a woman, that gender representing half the population of planet Earth. I also wanted to break down stereotypes. Q. The characters in this novel are masterfully developed. Alan, you taught creative writing. What would you say to budding authors about character development? A. Thank you. Flush out the characters, emphasizing what they are about through their actions. Remember too that the reader cannot see the characters but has to rely on the writer to describe their appearance. Q. What, if anything, have you found to be the most difficult part about writing? A. Apart from my brain injury, it would be staying motivated to spend countless hours per day alone, researching and writing, despite other people telling me to get a ‘real’ job. Q. What has been your experience with publishing? A. A challenge. My publisher is good but many are interested only in action crap that is short and will sell quickly. Q. Do you have a literary agent? If so, how did you go about finding one? A. No. I am Canadian and it is still possible to find a publisher here without an agent. I understand that in New York, finding a publisher without an agent is a thankless task. A. Do in life what makes you tick, stick with it and write when your brain is operating at its peak time during any 24-hour period. Q. What advice would you give to your younger self? A. I created and hand-wrote a neighborhood newspaper as a child but got no inspiration from home. Rather than choose subjects that one’s parents direct for job security, pursue subjects that really turn your crank. Q. Your first book Brain Injury is your own personal story and due to be re-released soon. Can you tell us when? A. I understand from my publisher that the book is to be printed shortly and will be at retail, pre-Christmas. Q. Finally, Alan, is there a new novel in the works? If so, can you share something about it? A. Yes, there is a novel about Toronto, now bigger in population than Chicago and according to the United Nations, the most cosmopolitan city in the world. I hope to have the work published in 2017. I enjoyed reading a little bit about your life. Thank you for sharing it.